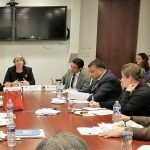 On October 25, 2018, Sasakawa USA hosted the Honorable Sharon Burke, Senior Advisor and Director of the Research Security Program at New America, at a luncheon to discuss her recently published paper “Strength Through Peace: Japan in the 21st Century Competitive Sphere.” The luncheon was held as part of Sasakawa USA’s Alumni Program and the paper is a culmination of Burke’s research from her travels to Japan in February 2018 for Sasakawa USA’s In-Depth Alumni Research Trip. 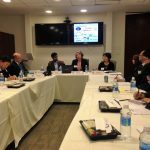 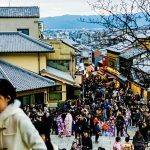 Despite gains in energy-consciousness, Japan struggles to become more climate-conscious, says Umair Irfan, recipient of Sasakawa USA’s 2016 Journalism Fellowship. 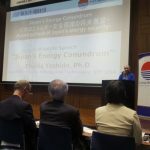 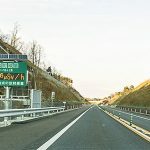 In the fifth article in his series on Japan’s role in global energy and climate change, Mr. Irfan details some of the challenges faced by Japan’s environmentalist movement.